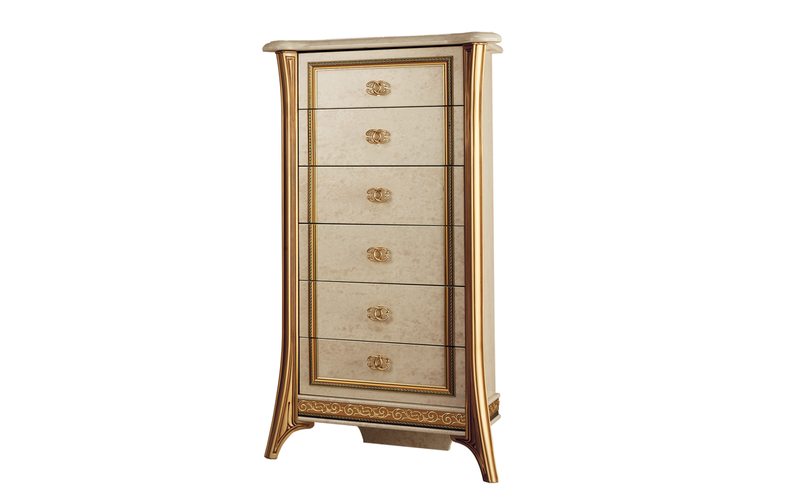 The seven-drawers chest is a new introduction to the Arredoclassic creations. A compactly-sized feature which stands out for its functionality as well as the vertical direction of its forms. Its elongated height enhances the graphic movement of the lateral gilt columns, bringing movement and dynamism to your spaces.